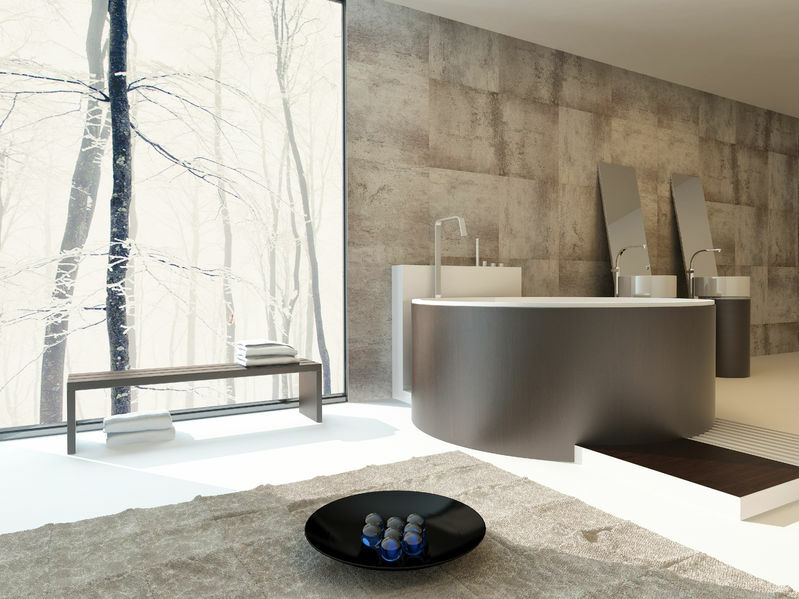 Travertine is one of those stones that is a great building materials with functionality and character. Nature knew what she was doing with this beautiful material. In fact, many contractors and home renovators turn to travertine to modernize outdoor spaces like patios, swimming pools and walkways as well as indoor spaces like kitchens and bathrooms. Travertine is desirable for use for its attractive appearance and trademark longevity when properly maintained. Travertine tile and paver care. Use a dry mop daily or every other day for frequent use areas, or just prior to events for patio or exterior to keep the floor free of dirt and debris. Its not the appearance of dirt that is the primary problem here but rather the wear caused by its being ground underfoot. As such, it is protecting your stone surface that drives this need. Wet mop periodically with a premium stone cleaner like MARBLELIFE® Marble & Travertine InterCare Cleaner to remove oils from droppings, spills, tanning lotions and other liquids that can land on your interior and exterior floors. You know that stuff the other kid “I don’t know,” or “not me,” contributes. Occasionally, as is often the case, you may have to deal with spills on your travertine surfaces. Acidic liquids like cranberry or citrus juices, wine, coffee and other dark liquids have the potential to stain the stone. Always blot the spill up as soon as possible to prevent stains from penetrating deep into the stone. Its easier to clean a spill today then try and get it out of your stone once absorbed (though this is really not a problem if sealed). For stains resistant to your regular stone cleaner, you can use a poultice. Take note, however, the type of poultice used is determined by the type of stain, as you need a liquid that will dissolve the spilled substance. This is chemistry baby, so the poultice used matters and will determine your ultimate success. Have patience it is normal for a poultice to require multiple applications to draw out everything. Common poultices can be purchased from hardware stores or made at home. For a reference consider MARBLELIFE’s STAIN REMOVAL GUIDE (www.marblelifeproducts.com) which includes recommended solutions to addressing stains resulting from over 70 different spills or damage types. Yeah – kinda like that Farmer’s commercial – we’ve done that. Even how the poultice is set-up here matters and can impact your success. Understanding how it works goes a long way to removing the voodoo and understanding what it takes to be successful. The key principle is that moisture will move from high wet concentration to a dry area. This is how a towel works. With a poultice we will apply a wet mud to the dry stain, and allow the chemicals to soak into the dry stain, then as the poultice air dries and becomes drier than the now wet stain the process reverses and hopefully carries your stain with it. This can take several applications to get it all out. So when setting the poultice cover it with plastic and cut slits in the plastic to allow it to dry. If your helpful neighbor tells you you don’t need to to do this, its possible that that is true for his stain, but we are aiming to give you a process that will work on the greatest portion of stains based on experience – the hard and the easy. If the stain does not lighten after the first application, you likely need a different poultice or the splill was not what you thought, or the various cleaners use to try and get it out have changed the stain by interacting with it. The biggest problem here is that not all stains are going to come out, which is why we recommend sealing as being so important. In expensive and easy, sealing saves time, money, heartache and recriminations later. You can make your own poultice at home if you'd prefer not to purchase a ready-made one. Baking soda, or sodium bicarbonate, offers absorbent properties needed. Now you just need to select the appropriate liquid capable of dissolving the stain and lifting it out. The guide mentioned above can be a great resources here. Be careful as travertine is acid sensitive, and some stains will require an acid to remove, which means one can be etching the stone as one is taking out the stain. In some cases, that is going to have to happen first, then the stone will need to be repolished if an acid is required (an example is removing rust stains). 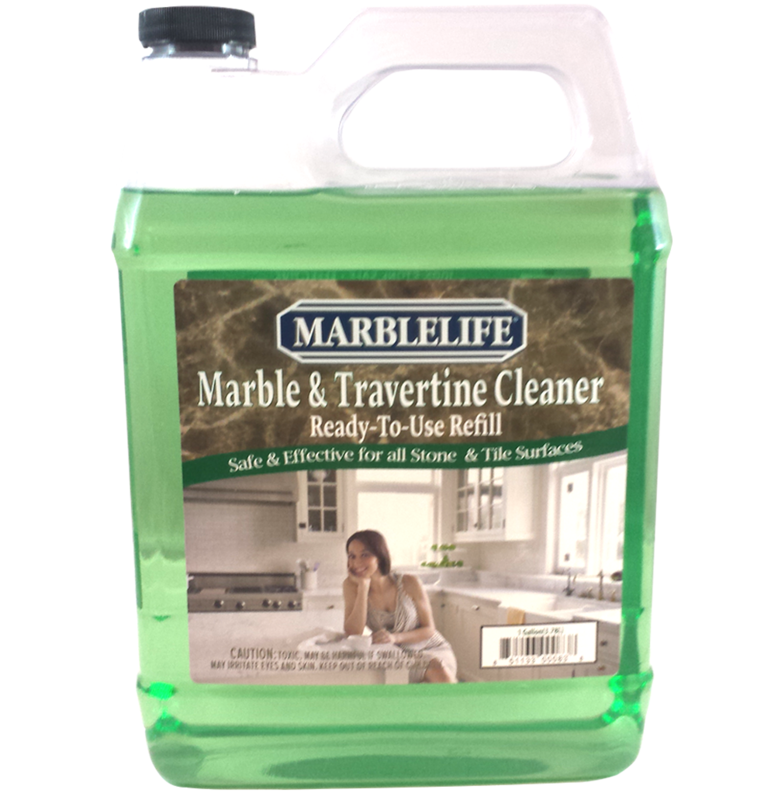 For most stains, and a good first step before making any other investment simply wet a paper towel with MARBLELIFE Marble & Travertine Cleaner and set on the stain and allow to try. If it lightens the stain repeat and until out or stable in color. This is the fastest path and will get out shallow easy stains. If this doesn’t work, then combine equal parts baking soda and MARBLELIFE® Marble & Travertine InterCare Cleaner and mix until pasty. Pasty means a mud that if you threw against the wall would stick. Wet enough to stick, but not to run. Place the paste on the stain then cover with a plastic, cutting slits in the plastic to allow it to breath. The plastic is simply to avoid someone stepping into your mud and walking it throughout your home be it dog or family member. Allow to set for 24 hours. You want the surface to be dry before removing the poultice. As before if gone – yeah – it lighter – repeat – if no change you need to change the liquid being used, at which point its time to play detective and make sure we know what caused the stain and select the appropriate liquid to do the job, enter the MARBLELIFE STAIN REMOVAL GUIDE. To protect your travertine and to avoid future staining, it’s extremely important to seal every other year with a quality sealer such as MARBLELIFE® Stone Sealer. Any one who has suffered a stain, will vigorously recommend you seal, and lament the fact that learned this lesson the hard way. 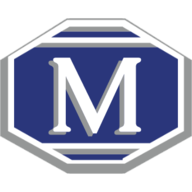 For any other questions or concerns regarding travertine maintenance and care, you can contact your local MARBLELIFE office and a knowledgeable stone craftsman will be happy to assist you.